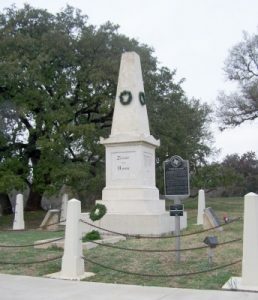 There is a unique monument in Comfort, Texas - the only memorial dedicated to Unionists, south of the Mason-Dixon line, and one of only a handful of places where the 36-star American flag flies at half-staff, in perpetuity. Virginia split into two states, and Missouri and Kansas bled over the matter of secession and slavery - but who would ever have thought that right in the middle of a stoutly Confederate state, there would be a large population of stubborn Unionists? But there were, and what is odder still is that most those Union loyalists were only recent immigrants to Texas and the new world. 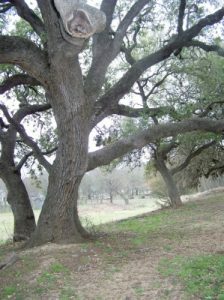 When Texas departed the Union, it was over the objections of a substantial minority, including those German settlers who had come to the Hill Country and built towns like Fredericksburg, Comfort and New Braunfels in the years immediately before the war. When a general conscription law was passed, essentially declaring that every white male between the age of eighteen and thirty-five were liable for military service, feelings in the Hill Country were bitterly resentful; opposed to slavery and secession, many found it deeply insulting to be forced to fight in the defense of an institution they despised, and for a political body whose existence they had opposed. And, too - Gillespie County was very much still a part of the frontier. Fighting off war-parties of Indians was a much more immediate concern. This resulted in Gillespie and Kerr County being put under martial law, in the spring of 1862, and all men over the age of 16 ordered to register with the local provost marshal and take an oath of allegiance to the Confederacy. Suspicion followed by repression bred resentment and further defiance, which in turn bred violence... and resistance. Men of draft age took to hiding out in the brush. A company of Confederate partisans under the command of Captain James Duff were sent to keep order. By summer, Captain Duff ordered the arrest of any man who had not taken the loyalty oath. His troopers waged a savage campaign; flogging men they had arrested until they told his troopers what they wanted to hear, wrecking settler's homes, arresting whole families and confiscating foodstuffs and livestock. Late in the fall, thinking that they had been offered a thirty-day amnesty by the Governor of Texas and the opportunity to depart Texas unmolested, rather than take the loyalty oath, a party of sixty men gathered together, led by a settler from Comfort named Fritz Tegener. They intended to travel westward towards the Mexican border; most intended to join the Union Army. But there was no such amnesty in effect, and they were pursued and fought a pitched and bloody battle with a contingent of Duff's troopers. About half the party was killed outright in the resulting fight, another twenty wounded were executed upon capture; one survivor was taken to San Antonio and executed there. The others scattered; some over the border and some to the Hill Country, where their families brought food to them as they hid in the fields near their homes. Captain Duff refused to allow the families of the dead to retrieve the bodies. Their remains lay unburied until 1866 when their families brought them to Comfort, and buried them in a mass grave, on a low hillside on what then would have been the outskirts of town. The stone obelisk is plain and stark, shaded by a massive oak tree: panels on three sides list the names of the 36 men of Tegener's party, all of whom were True to the Union.